The Swagman Electric 8 ltr sprayer would be an ideal gift for any gardener it cuts down the weed spraying, as there is no pumping or stopping. Why not click on the following link https://m.facebook.com/story.php?story_fbid=2178050105845765&id=100009223912917 for your chance to win a FREE spray even better why not share with your friends on Facebook https://www.facebook.com/wilsonspestcontrolsydney/. The Swagman Electric sprayer is the perfect sprayer for anyone especially an elderly person who does not need to carry the Swagman Spray, does not need to pump the spray just charge and spray away. All orders received online via email info@wilsonspestcontrol.com.au will receive a free string bag & shopping trolley disc (both valued at $10) with your order. With all the rain and humidity this is the ideal sprayer to use to spray echo oil on your citrus trees, or get rid of the aphids from your roses they are all thriving in the spring/summer conditions. Sprayer have full warranty from local supplier. The garden sprayer is easy to use, has wheels and all the components come apart for easy cleaning. The sprayer packs away neatly. The special offer is available Oct/Nov and if you book a pest service the Swagman sprayer will be delivered at no charge on the day of your service. 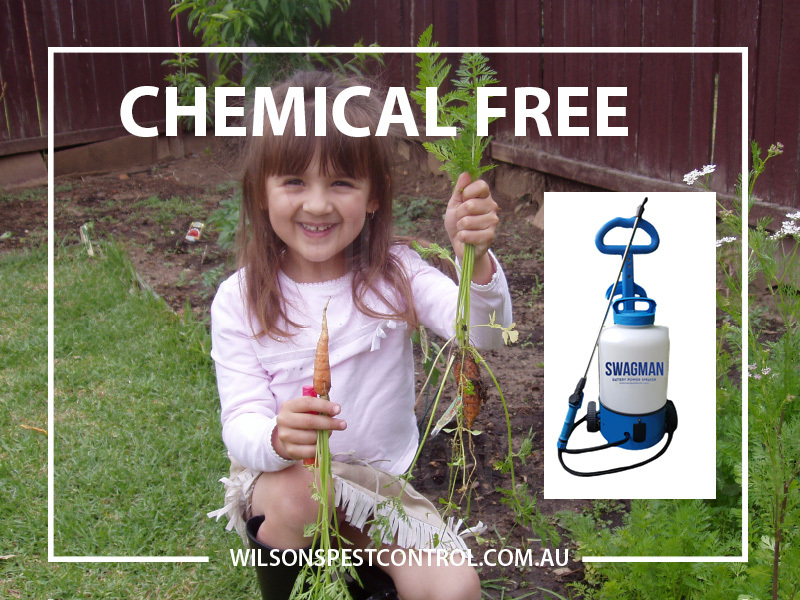 Did you know we offer domestic weed control for customer who are unable to do their own weed spraying – yes we do use the Swagman Spray to do these job. Should you be interested please give our office a call. Check out our webs eshop https://www.wilsonspestcontrol.com.au/shop/garden-products/electric-garden-sprayer-portable-with-wheels-and-handle-chargeable-battery-8ltr/ view our website for many other garden products. We use the sprayers in our business as well and they are wonderful. Why make your job difficult when it can be so easy.